Oshima is a very small island located just 20 minutes by ferry from Takamatsu. It was once an island dedicated solely to the recovery of patients with Hansen’s disease, also known as leprosy. The island is well maintained and you must schedule your trip to the island. There is a mandatory guided tour of the island with a little free time to enjoy the art. The tour provides information about what the island was used for and how the residents lived on the island. Please be respectful when visiting the island. Note: 2019 information has yet to be officially released but it is rumoured that the system will be changing. Information will be updated as it becomes available. All information is for 2016 and currently outside of the Triennale it is difficult to visit this island. Oshima is serviced by a ferry for residents only. 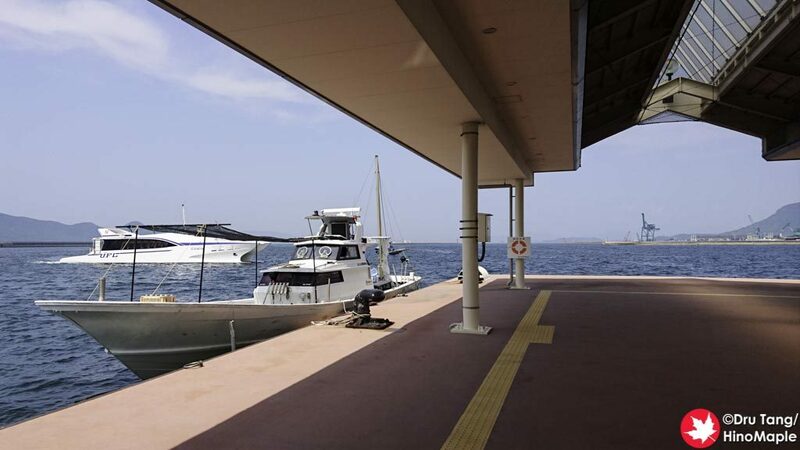 During the Triennale, there are 2 special charter boats that take 40 passengers to Oshima 3 times a day. These are small boats so be aware that you may experience motion sickness. 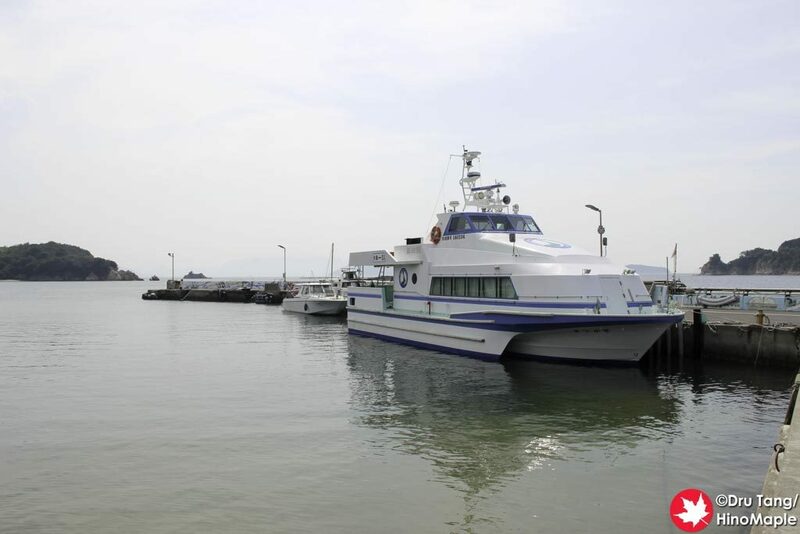 Ferries depart 3 times a day from Takamatsu. Ferries depart at 9:20, 11:40, and 14:05. You then have 1.5 hours on Oshima before you must return to Takamatsu. The guide will ensure you know what time you must return to the port. Only 40 passengers are allowed on each sailing. 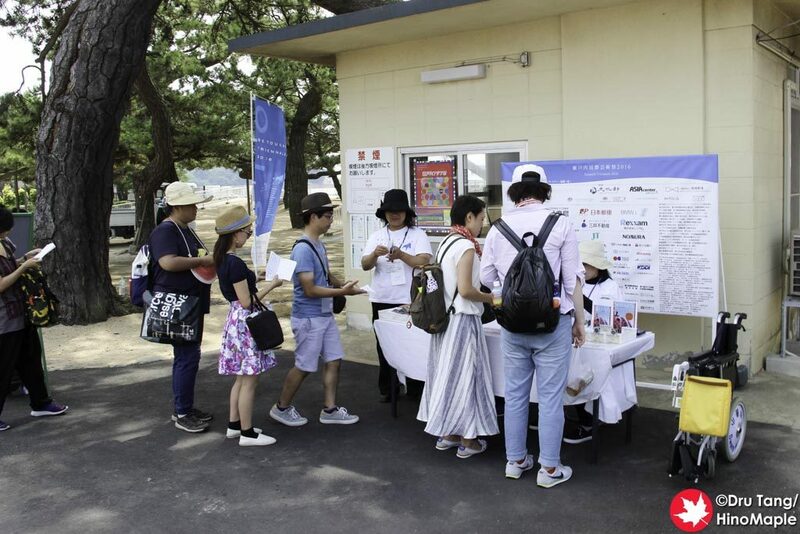 Numbered tickets are given out at the central information centre for the Setouchi Triennale. Go to 1F of the Takamatsu Ferry Terminal Building and ask for help. The Setouchi volunteers are very friendly and helpful. Number tickets are generally given out from 40 minutes before the sailing till roughly 15 minutes before the sailing. Do not wait until the last minute to get a ticket. Be aware that weekends are busier and may be tickets may be hard to get. You must be on the pier before the boat departs. When you arrive on Oshima, you are greeted by the tour guide. The guide will bring you to a small table where you will be given a guest badge. For non-Japanese speakers, you will be given a single laminated pamphlet to share and learn about the island. All tours are in Japanese only and are not optional. The guide will then take you to the small cafe before you head up to the main temple of Oshima. At the temple, the guide will make a small prayer for those who have died on the island before giving you a short time around the temple for photos. After you visit the temple, the guide will see if you wish to see a memorial built to the north of the town. You will then proceed there where you can take a few pictures. If you proceed to the north, time will be a little tight, do not walk slowly. 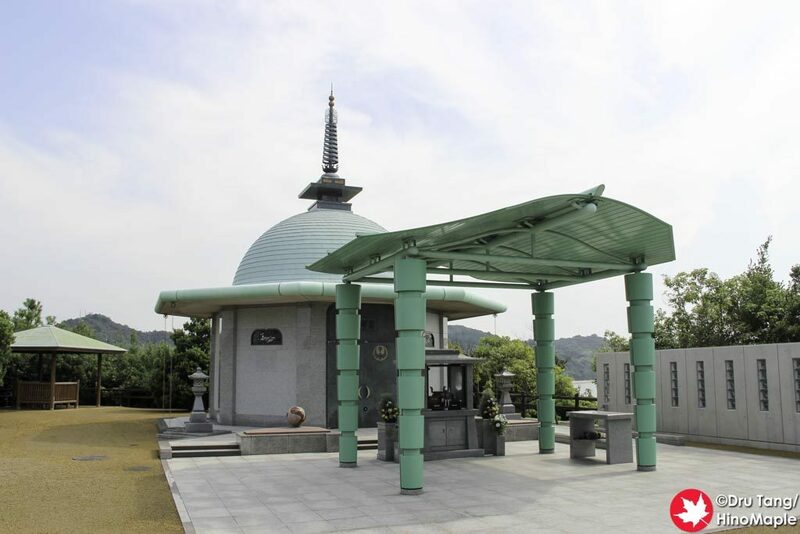 After visiting the memorial, you will return to the central town where you will go to the barracks. They will stop at one of the buildings to explain it but you will not be allowed in until the free time starts. You will then continue to the northern most barracks where they will explain the artworks and what you can and cannot do. If you cannot speak Japanese, try your best to understand but there are signs to inform you what to do and you can always follow the Japanese visitors and follow their lead. Once the explanation is finished, you will be reminded of the time you must return to the table where you checked in. You are then allowed to roam the artwork and some of the island before you are required to meet at the table where you checked in. Do not be late and return your badge when you return. Once you return your badge, do not venture too far as they will want to leave on time. 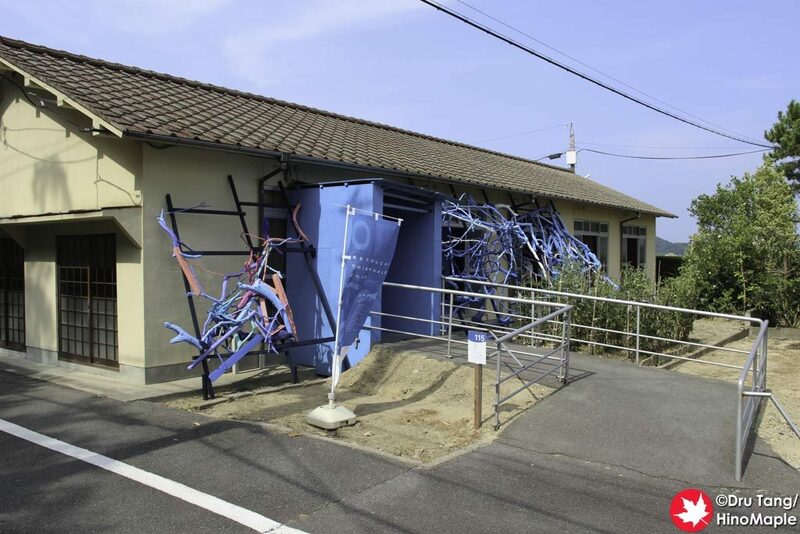 All of Oshima’s artwork is within 3 buildings in the barracks area of town. You are free to enter them but be aware that you must take your shoes off in the 2 northern most barracks, the 2 farthest from the port. All of them are located very close to each other. Be sure to walk through the buildings completely and also to look around them too. There is a garden between the 2 northern most barracks that is also part of the art. 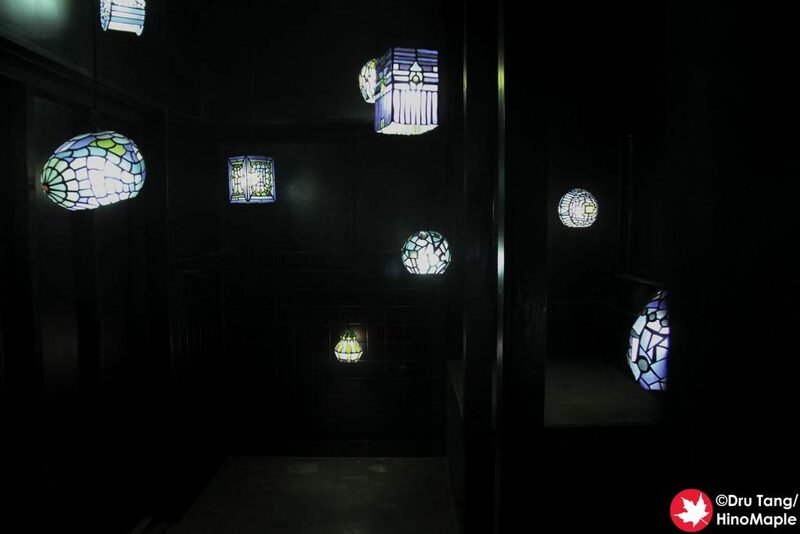 There are only a few vending machines on Oshima and one cafe during the Triennale. Try to bring your own food and drinks, even though you only get 1.5 hours on the island. 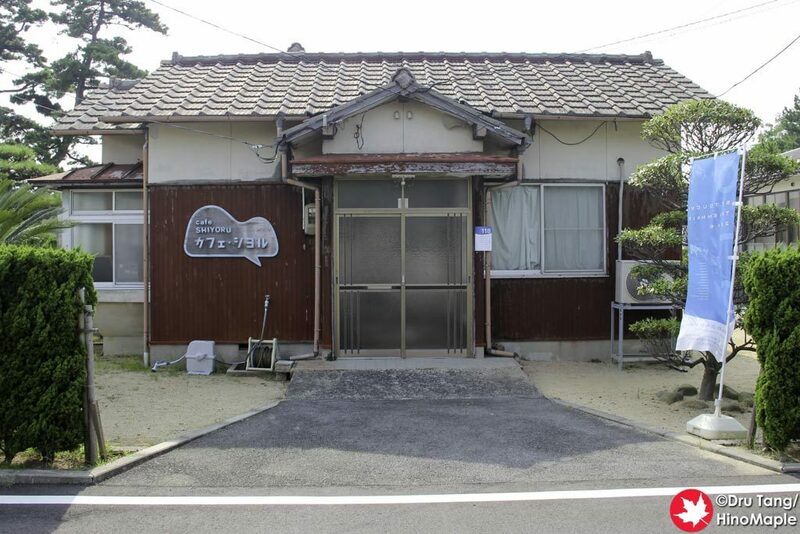 Cafe Shiyoru is the only cafe on Oshima that is open on weekends and holidays only. If you are on the last tour of the day, Cafe Shiyoru will be closed. 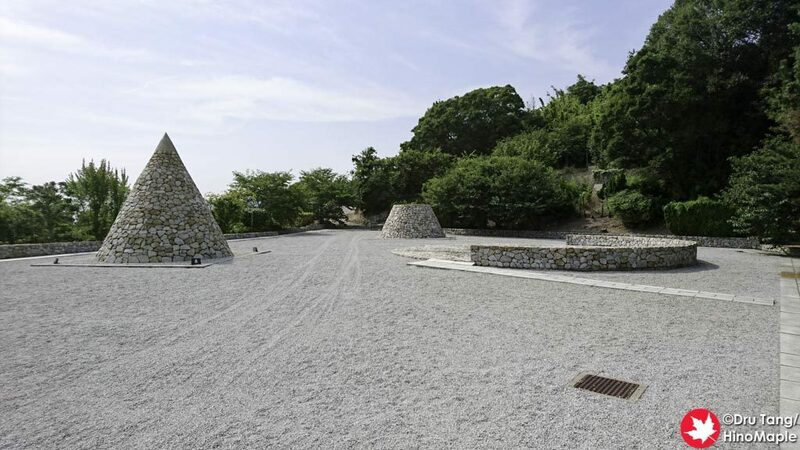 This entry was posted in Setouchi Triennale, Shikoku and tagged Hansen's Disease, japan, Leprosy, Oshima, Setouchi, Setouchi Triennale, Takamatsu by Dru. Bookmark the permalink.